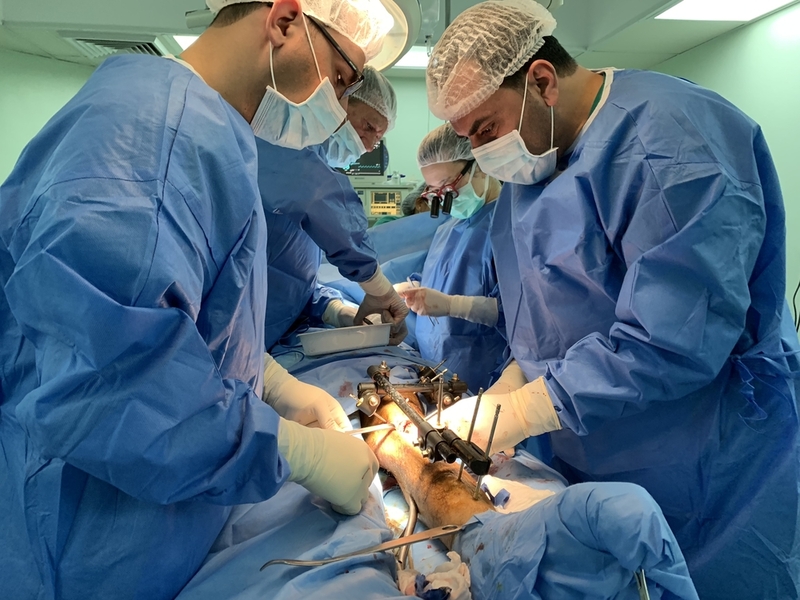 MSF surgeons and nurse carrying out a bone graft on a patient from Gaza shot by the Israeli army during protests in July 2018. For the most serious patients, however, the treatment that they need is very difficult to obtain in Gaza, a crowded piece of land that has been blockaded for the past ten years, and isolated for a lot longer. Therefore MSF is also transferring patients from Gaza to its reconstructive surgery hospital in Amman, Jordan. This is a complicated process that requires permission to travel from many sets of different authorities: permission that is often denied. However, MSF was recently able to send its first patient injured in the protests – Eyad, 22 – out of the Palestinian enclave. 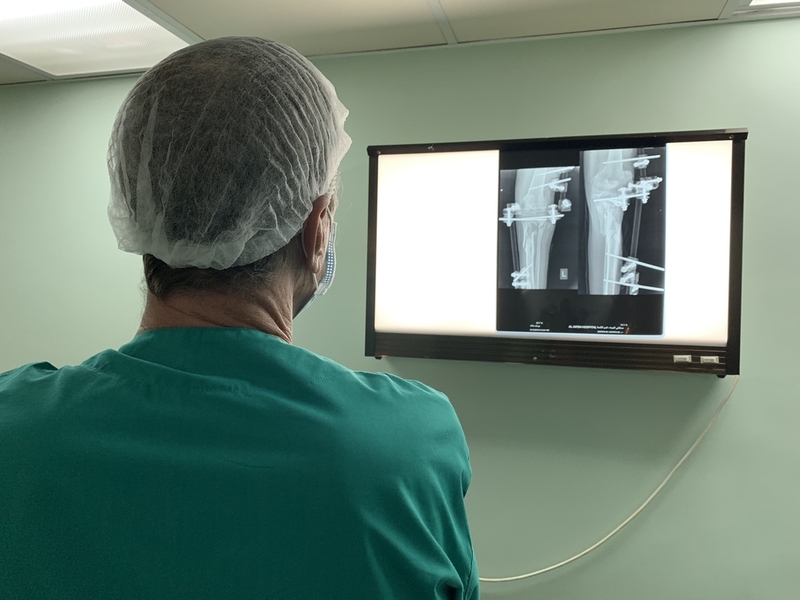 He had been shot on May 14 – the bloodiest day of the protests – and requires a bone graft and reconstructive surgery to repair the damage to his leg. The health system in Gaza is currently only able to offer this type of surgery to a very few patients. 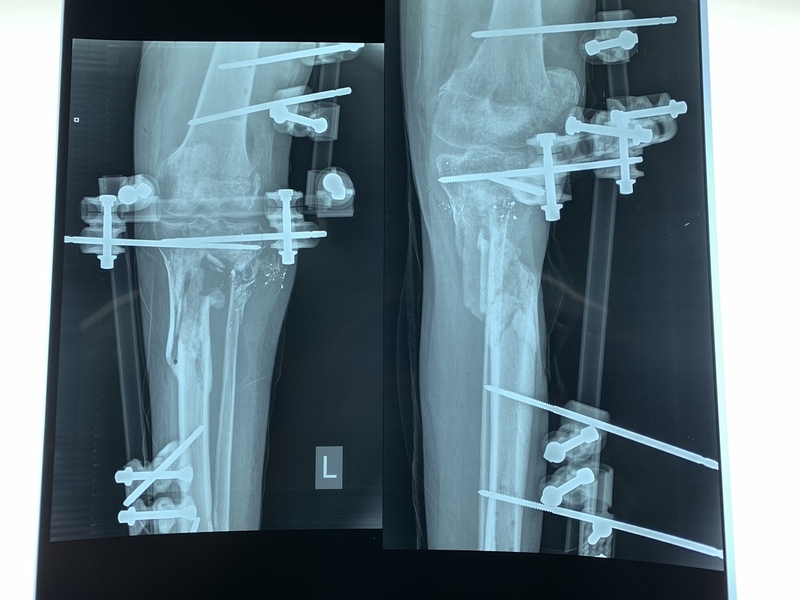 An x-ray shows the bone gap and external fixators in the leg of the patient shot by the Israeli army.